These new FULL COLOR IMPRINT bags, from American AdBag, are taking the Industry by storm! 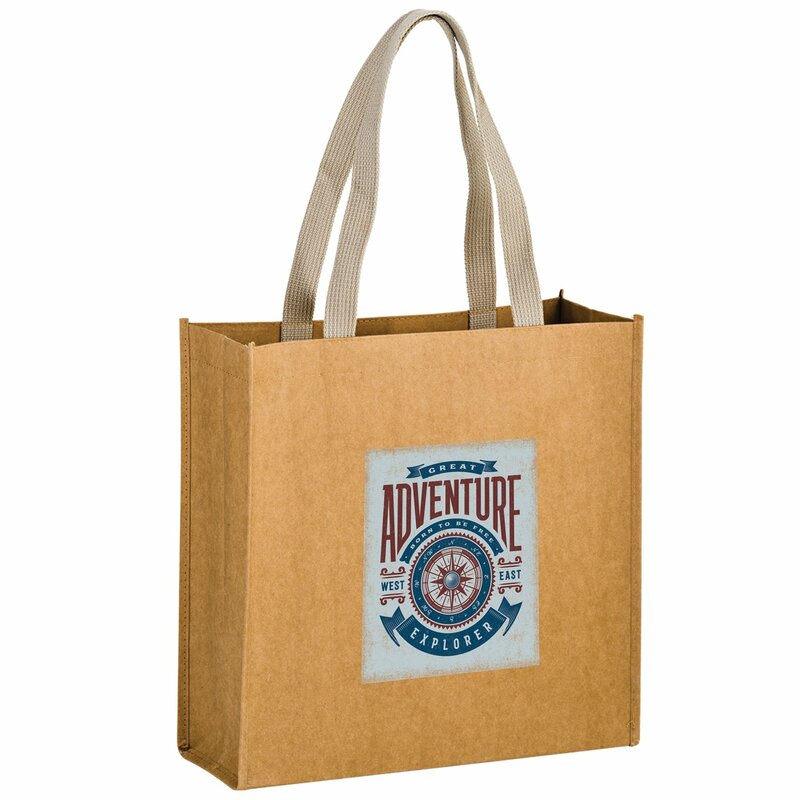 Washable Kraft Paper Tote Bag with Web Handle | 350 GSM Natural Brown Kraft Paper | 21" Web Handle. Four Color Process Heat Transfer. Get the look and feel of leather with paper. Dry Flat!